Thank you for taking your time to read this walleye fishing rod guide. Here we discussed everything from tips and techniques to strategies to get the most from you’re the time you spend at sea. As you know, walleye is one of the most sought-after freshwater fish species in the world. And that’s particularly because they’re absolutely delicious and thrilling to catch. But even with that said, these fish can be quite tricky to nail down. For that reason, you need to invest in the best rod for walleye fishing. In that regard, here are some quick reviews, links and buying guides to help you make an informed bet. Walleye fishing doesn’t have to be a mind-boggling activity. Here’s a quick comparison chart meant to help you find the best rod for this kind of fishing. KastKing Wide eye is an excellent walleye rod because of its sensitivity, strength, and lightweight. The rods have a blank carbon IM9 construction, which is ultra-sensitive and can detect even slight movements of fish before it bites baits. 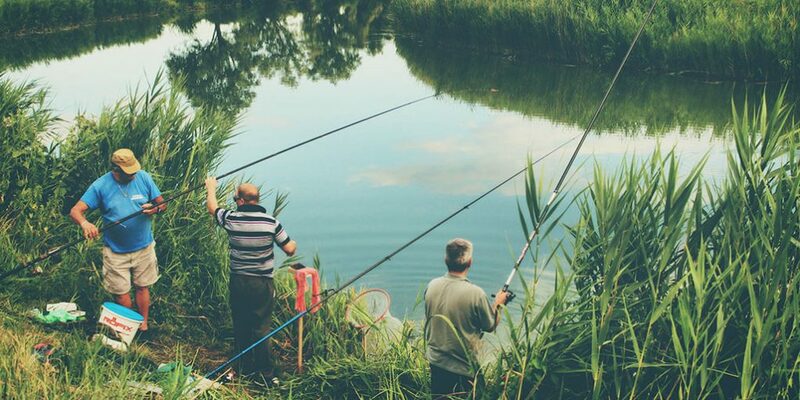 There are thirteen different models of casting rods and spinning rods to choose from to suit your particular fishing needs. The spinning rods have Fuji IPS reel seats and Fuji Tangle Free K-Frame guides while the casting rods have Fuji TCS reel seats and Fuji L-Frame guides. The rods are constructed with a weight reduction technology for the lightest and yet sturdy rods to battle large fishes. The lightweight is attributed to the blank technology, split rear handle on spinning models and also high-end components. The rods have 3A Cork Handle for a slip-free and comfortable grip. Ugly Stik-Elite Spinning Rod is a budget-friendly rod perfect for walleye fishing and comes with strength and high sensitivity. It is a two-piece rod design. The rod’s blank is constructed from graphite and other materials for sensitive. The rod has 35% more graphite than traditional ugly stick spinning rods to maintain its strength while making it lighter and more sensitive. In addition, the rod has a cork handle for a secure and comfortable grip. The grip is also easy to set up on a rod holder. Besides, the tip is designed with a clear Tip Design for extra sensitivity. 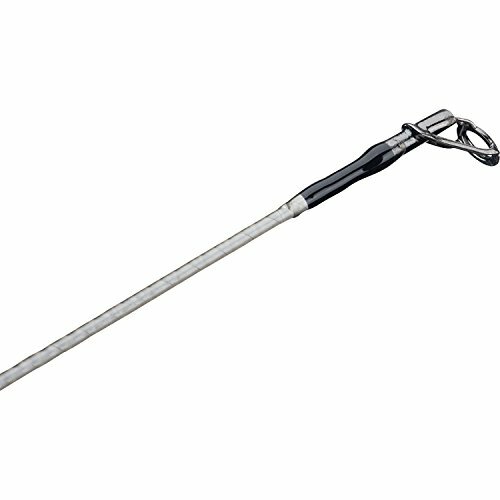 The rod is designed with Ugly Tuff one-piece stainless steel guides which are easy to use. The reel seat has an exposed blank style and cushioned steel hoods to ensure the reel stays in place. There are various models to accommodate different needs of anglers, both seasoned and newbie anglers. Fenwicks-Eagle Spinning Rods is a product of Fenwick, which has a rich heritage of innovating fishing gears spanning over 60 years. The rod comes in a 2-piece model for easy portability. 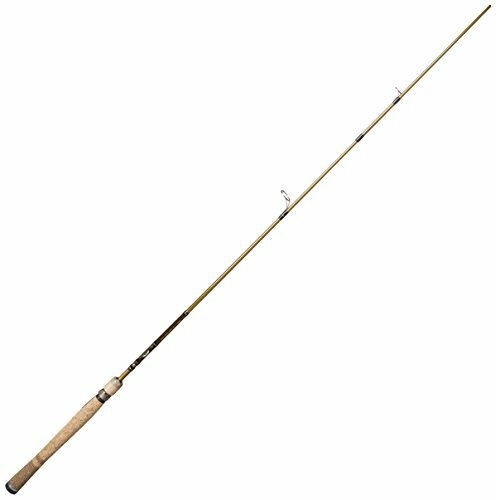 The rod is constructed with a graphite blank for superior sensitivity to walleye. 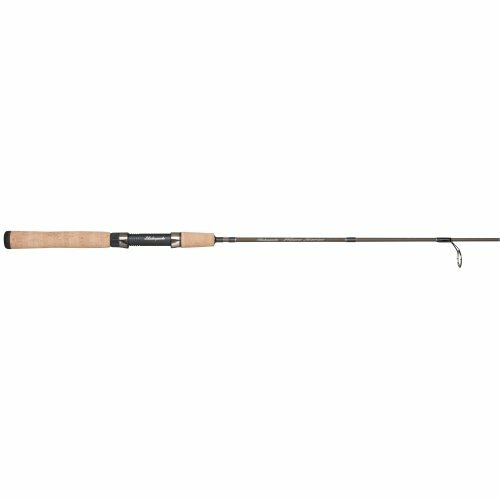 The graphite blank also makes it lightweight for your convenience of handling the rod all day without getting fatigued. In addition, the B2 burled cork handle provides a secure grip and is more durable than traditional corks because it is chip resistant. The rod’s guides and inserts are strong, lightweight and stainless steel for durability because they are corrosion resistant. 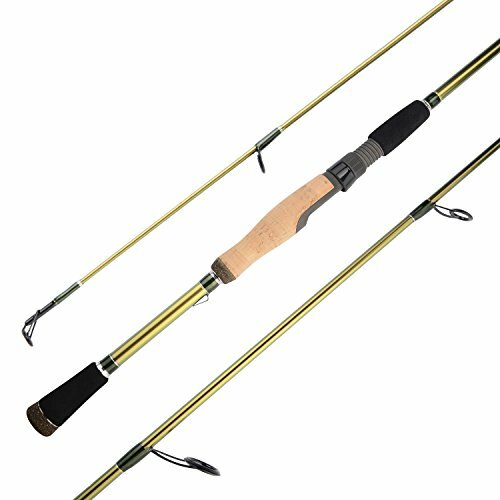 G.Loomis-Walleye Series is an excellent high-end walleye fishing rod if you are in a position to cough out quite some bucks. Such an investment is justified if you are a professional walleye angler, not anglers who fish once or twice a year. 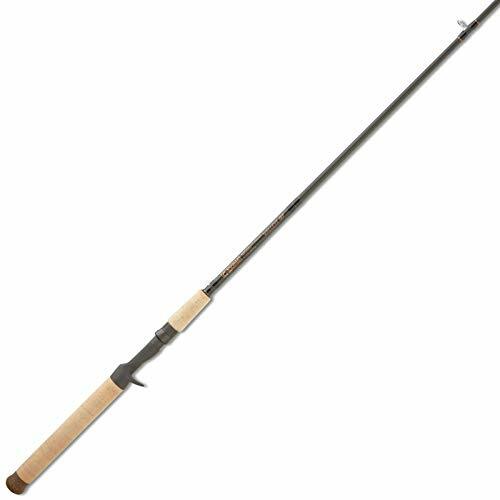 The rod has a combination of beautiful aesthetics, performance, and durability. There are various models to choose from for versatility. The rods are all one-piece rods but with varying actions speeds, lengths between 6’3” to 7’6” and handle different weights of fish. The rod is designed to be ultra-sensitive and lightweight. It is constructed with a line management system that eliminates tangles. The reel seat is also designed to hold the reel fast and securely. In addition, the rod has an ergonomic handle which provides a slip-free and comfortable grip. Shakespeare-Micro Spinning Rods utilize ultra-light fishing technique to catch walleyes. There are various models designed with a variety of lengths and actions for versatility. You choose a rod depending on your fishing needs and preferences. It is a two-piece rod constructed with graphite, making them lightweight and ultra-sensitive. They have cork handles which fit well in the rod holders and are also ergonomic for extended fishing hours. In addition, the reel seat is cushioned to secure the reel. Besides that, the guides and inserts are stainless steel which is corrosion-resistant for durability. Abu Garcia-Vengeance Casting Rod boasts of durability, sensitivity, balance, and light-weight to suit walleye fishing. It is a one-piece rod manufactured from 30-ton graphite for a lightweight rod. It has a stainless steel frame for durability. In addition, the rod has titanium alloy guides and Sic inserts which contribute to its balance. The Micro click reel seat is designed to fit the reel perfectly. The grips are High-Density EVA for a firm and comfortable grip. The rods can support different types of lines for your convenience. The rod is constructed with a 22% improved break strength, and the tip has a 30% increase than previous models for a more durable rod. There are various models with different sensitivities and lengths on offer to suit different fishing preferences and needs. Okuma-Dead Eye is designed for serious walleye anglers to catch good-sized walleye. The rod is aesthetically constructed with performance features. It is a pocket-friendly rod to suit most budgets. 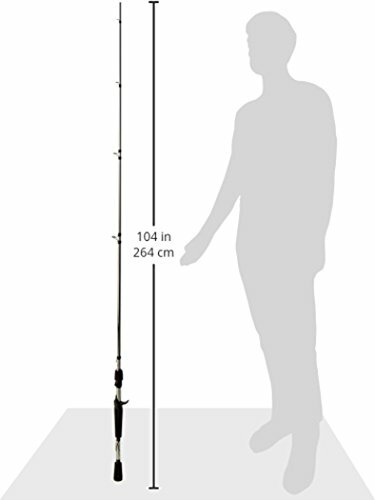 The 7-foot one piece rod has medium light power. The rods are made with IM8 rod blanks which are highly responsive. The split grip adds to the sensitivity of the rod by transmitting vibrations whenever a fish moves to alert you to act. It is fitted with a triangular EVA grip that is constructed strong for durability. In addition, the rod’s guide frames are ALPS gun smoke stainless steel equipped with zirconium inserts which are corrosion and chip resistant. So, we’re going to walk you through what each one of these entails and the best rod to get for them. Trolling is best done using heavy rods. That’s because this style of fishing tends to pile a lot of pressure on the gear especially if using a lead core line or planer board. What’s more? Trolling works best with medium to heavy power rods. The perfect spinning rod for walleye is one that should not be too heavy or too light. Therefore, we’d recommend going for a light/medium power but fast action rod. When it comes to jigging, sensitivity is what matters the most. So, you can go for something that’s light in weight but with an incredibly sensitive tip. We’d recommend the Ugly Stik-Elite Spinning Rod for jigging. But when it comes to the best choice overall, we think the KastKing Wide eye Walleye Casting & Spinning Fishing Rods offers an all-around package. There’s no one-size-fits-all walleye fishing rod model. You simply need to find one that’s best suited for your style of fishing. And that way, you can eliminate the guesswork and focus on bringing a bigger catch home.